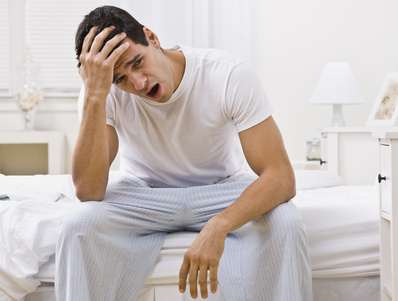 If you often wake up in the morning and feel you have really not slept very well, you may be suffering from sleep apnea. It is a condition that is only noticeable when you go to sleep, because when you relax your muscles when in the sleep state every part of your body relaxes. This includes your tongue and muscles around your throat. The relaxation of the muscles in your mouth can sometimes restrict your airway, especially if you are overweight and there is more fat in your throat region than there should be. 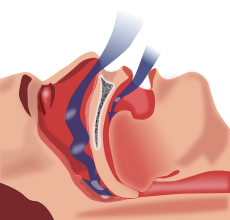 Constricting the airway in this way may cause you to snore and wake up with trouble breathing and you could find yourself frequently gasping for breath. Sometimes these brief moments of waking up only last a second or two, as you breathe in sufficient oxygen. You probably wouldn’t even notice it, but your body will. You may never achieve a deep enough sleep, which is necessary to ensure you don’t feel tired in the morning. Sleep apnea is regarded as an oral problem, because it is the position of the tongue in the throat that can lead to difficulty breathing. The position of the tongue can be helped with a dental solution. Ensuring that your teeth are straight and your bite is correct, as well as making sure that your tongue does not obstruct your airway, can all help your breathing. You may have other contributory factors such as excess weight which need to be addressed at the same time and may also allow you to sleep better. 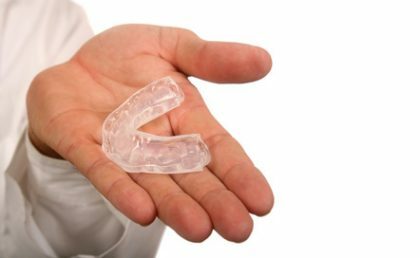 The dental profession has designed some useful sleep apnea treatment devices that are either fitted on the teeth or the tongue to help to keep your airway clear. The dental solutions we offer for sleep apnea sufferers are non invasive orthotic devices. We offer these as a more comfortable alternative to the uncomfortable and noisy Continuous Positive Airway Pressure mask (CPAP) and will help you to breathe more easily and enjoy a good, deep sleep. One example of these orthotic devices is what is called the ‘Mandibular Advancement Device’ (MAD), which is an appliance that opens the airway by moving the lower jaw or mandible forward. When the jaw is brought forward, the part of your airway that is collapsible is kept open by the forward motion of the tongue and other muscles in the airway. It also improves the rigidity and strength of the airway by causing an increase in the tongue’s muscle and other airway muscles. The Tongue Retaining Device (TRD) is another mouthpiece device that works by keeping the tongue positioned forwards, so it doesn’t collapse while asleep and block the airway. Could a sleep apnea orthotic help you? If you have had a health evaluation and you have been diagnosed with sleep apnea we can recommend and fit an orthotic device which will help you to sleep more deeply. In the meantime, lifestyle changes, such as losing weight, can be tackled by you at the same time.